Talking Points: Spain’s Resurgence Under Luis Enrique, As They Demolish The World Cup Finalists Croatia? 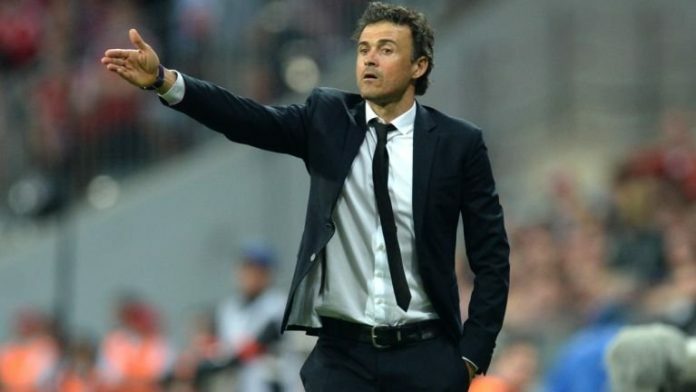 Luis Enrique’s Spain came out on top to crush Croatia 6-0 in the UEFA Nations League match in Elche, Spain. The La Roja continued their winning run after their win against England in the previous match. Luis Enrique’s men came up with an outstanding display to thump Croatia the biggest defeat in their history. Courtesy of back to back wins in the Nations League, Enrique’s men lead Group 4. The former Barcelona manager took charge of the Spain side right after the World Cup. After an underwhelming World Cup, the La Roja needed some panache and that killer instinct in their play. The Spanish side was always full of talented stars but Enrique’s quality of getting the best out of his players has worked again as the players were flawless in their passing and understanding throughout the match. The Spanish midfield just steamrolled Croatia as players like Saul, Ceballos and Busquets were very impressive at the heart of the midfield. Asensio who looks like a spearhead of the attacking unit proved why he is one of the most technically gifted players around. The Real Madrid winger scored a goal and set up four more and was a constant threat for the Croatian defence. The team looks totally different from what it was looking in Russia and the Spanish supporters will hope that Enrique’s era will be a beginning of Spain’s resurgence. The match was set for the local boy to grab the headline, all he needed was to get on the score-sheet, something which the Atletico midfielder has been doing lately. Saul did exactly what the doctor ordered and opening the scoring. The boy from Elche was delighted as the supporters went berserk celebrating the homecoming of one of their own. Apart from the goal, the 23-year old plays the vital role of being the engine in Enrique’s three-man midfield. Judging the run of play, the midfield puts a very balanced shift up and down the pitch. The Atletico Madrid midfielder, who is still in his infancy in International football has scored two goals in three starts and both of them came under Enrique proving his importance in the manager’s system. The Vatreni were in absolute shambles as Spain ran riot throughout the match. The World Cup finalists were a complete shadow of themselves in this Nations League bout. Defender Damagoj Vida who was absolutely brilliant in Russia had a very underwhelming display as he failing to contain with the pace of Asensio and Rodrigo on multiple occasions. Vida was also caught ball watching when Ramos scored the fifth goal of the night from a stunning Asensio corner. The defence looked highly unorganised and Dejan Lovren’s absence also did not help their cause. Croatia were also toothless in attack, one or two half chances from Ivan Perisic and that was it. Up front, Ivan Santini disappointed big time as the absence of recently retired Mario Mandzukic was felt by Zlatko Dalic’s men. Even in goal, they missed the experienced Danijel Subasic, who also hung up his boots after their dream run in Russia. Inspiring Asensio led the line for Spain. Enrique included the Real Madrid man in his plans right from the start and boy did he do well!! 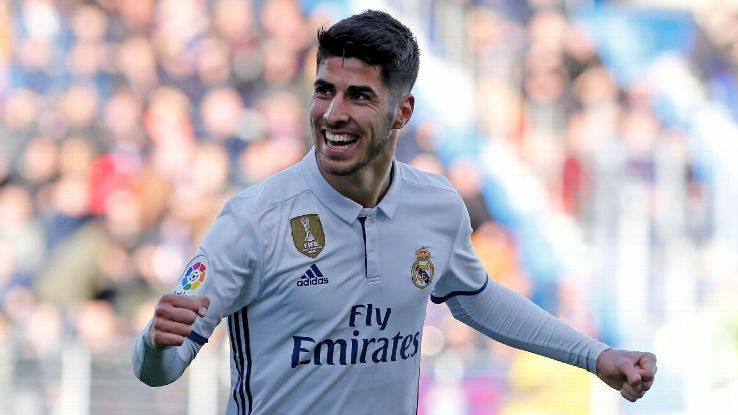 Asensio scored the second goal in the match from a terrific long ranger from outside the box and minutes later the 22-year old was running down the right flank as he cuts in to launch a thumping effort. Although his ambitious effort was denied by the post, the ball eventually went in after a deflection from the goalkeeper. The Real Madrid man has time and again shown the spectators that he is worth all the hype and on his day he can take down any defence in the world. With three assists after that, Asensio was a player that the whole Croatian side struggled to contain. He was electric on both the flanks and he definitely repaid the trust shown on him by his manager. He also has that golden gift of fluid passing along with his blistering speed. The winger was exceptional with his passes as he always tends to find teammates in space. His marauding runs also opened up a lot of space for the others to exploit in the opposition final third. The 22-year old is still in the early days of his career and the level of maturity and growth he has shown time and again, proves that he definitely has the capability to make it big in the near future. Next articleReal Madrid Wants This Chelsea Star Now, Will A Deal Actually Happen?